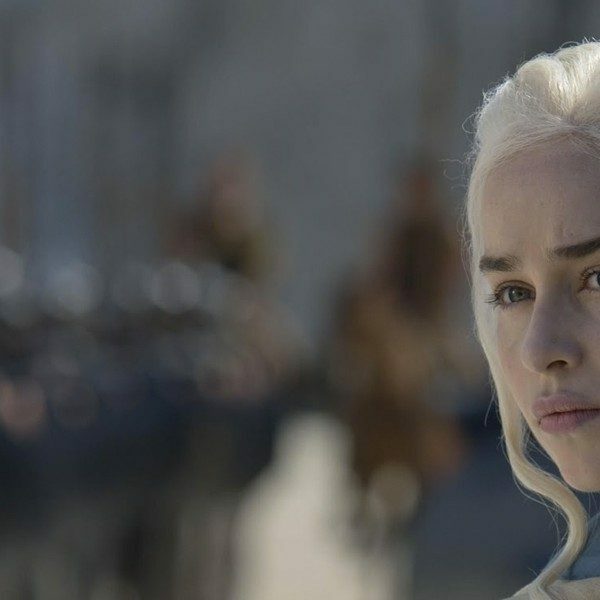 Fans were met with many big surprises within the first episode of the newest and final season of Game of Thrones. One of the first surprises fans noticed was the opening sequence. 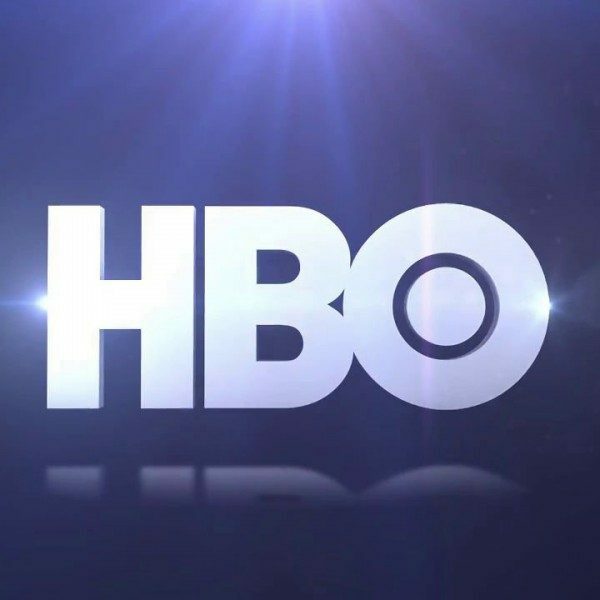 For the first seven seasons, changes to the title sequence had only been made in small increments. However, this time, it had been significantly altered. First, there were no house symbols on the rings, but there were some other strange symbols yet to be determined. Also, the only houses shown were Winterfell and King’s Landing, and this time there was a view into the interior of the houses. The last most important detail was that the wall now had a hole in it. The second important element were the reunion of characters, some of which hadn’t met since the first season. The episode starts out with a reflection of the first episode of the series, as a boy climbs up a tree to watch the soldiers coming into the city, just as Arya Stark had once done. However, now Arya stands by, letting the little boy have his turn. This also leads to the reuniting of characters, which stirs up many emotions. Jaime Lannister sees Bran Stark for the first time after pushing him out of the window. However, Bran seems to hold no grudge, knowing it made him into a seer. Sansa Stark and Tyrion Lannister are also reunited, not having seen each other since she escaped King’s Landing and he was likely to be executed. They both seem to hold a tinge of regret for the past, but now Sansa questioned his judgement due to his loyalty towards Daenerys, as well as for his belief that his sister Cersei would actually keep her word. Yara and Theon are also reunited, as he rescues her on ship. After giving Theon a quick smack for abandoning her in the past, Yara gives him permission to help Jon back in Winterfell. Additionally, Arya and her traveling companion, The Hound, are also reunited after she left him to die in a previous season before becoming an assassin. It is clear that Arya and Gendry have some sparks between them, as they are also reunited. Gendry makes his reappearance after several seasons, with his significance as a blacksmith hinted at and his relationship with Arya rekindled. She asks him to make something that may be a staff of some sort, but the drawing is vague and is yet to be seen if it will be a weapon or some other device. Jon’s reception back home, needless to say, is met with emotional intensity, but also some slight misgiving, due to his allegiance with the Dragon Queen. Sansa makes it very clear to Jon that she doesn’t approve of Daenerys. Arya also reunites with Jon in the Godswood of Winterfell, and just like all of the other reunions, it doesn’t come without some oddities. 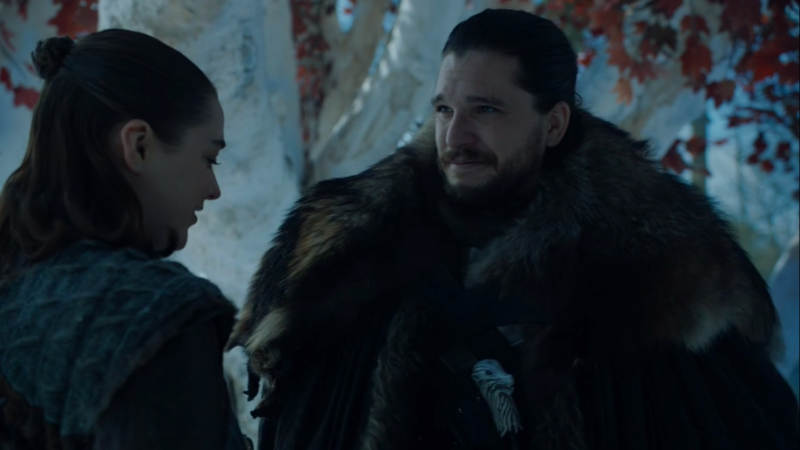 They hadn’t seen each other since the first season, and although Jon has never treated her as a child, he asks of her sword, “Have you had to use it?” to which she replies, “…once or twice.” From this exchange it is clear to viewers how much time had passed. Arya also sides more with her sister Sansa than Jon had anticipated, with the same unwelcoming attitude towards Daenerys. 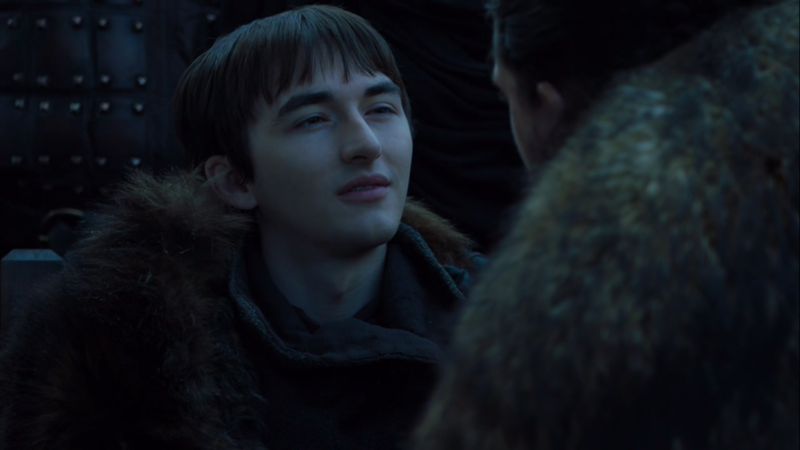 Bran also reunites with Jon for the first time since the first season. Jon remarks that “you’re a man now,” to which Bran replies, “not quite,” as he is now the Three-Eyed Raven. Another bittersweet reunion is when Sam meets Jorah again after Sam had healed him of grayscale. Daenerys joins Jorah to thank Sam and give him a just reward. 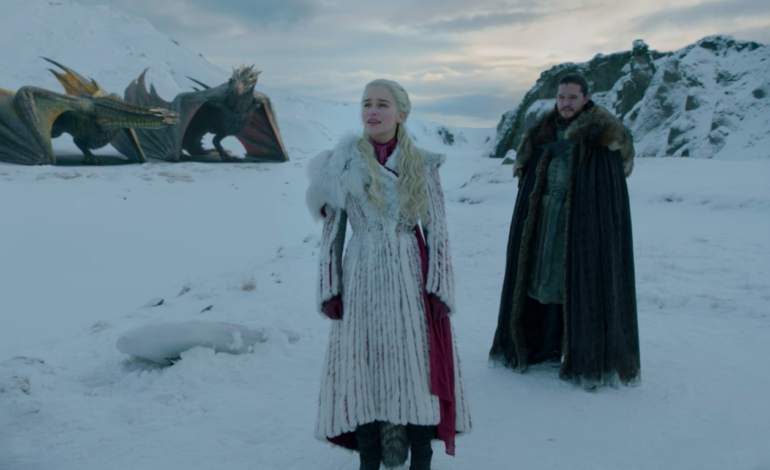 However, during this meeting, it becomes clear to Daenerys that she might have made a poor choice, after deciphering it was Sam’s father and brother she had killed when they refused to bend the knee. The last and most important of the reunions is between Sam and Jon. At this time, many things are revealed to Jon, such as that Daenerys was the one who killed Sam’s father and brother. Most importantly, Jon finally comes to realize that he is the rightful heir to the Iron Throne. Prompted by Bran, Sam tells Jon the truth, and that Jon is actually Aegon Targaryen, the son of Rhaegar Targaryen, making Daenerys his aunt. 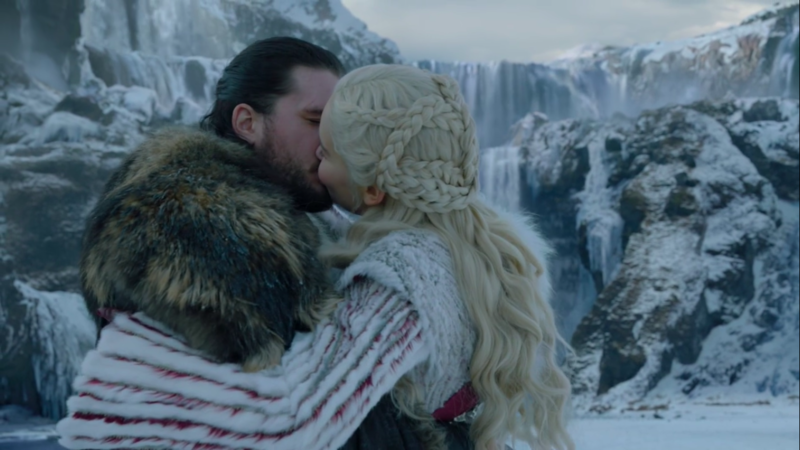 This helps explain some of the other events in the episode, such as Jon’s ability to ride the dragon so easily, as well as his seeming connection to them, as they accept him unlike any other human other than Daenerys. In the meantime, White Walkers have broken through the wall and started their journey south, killing Lord Umber and placing him in the middle of an image they constructed out of severed arms, as is their pattern after slaughtering humans. It is clear that with all of these reunions, raw emotions, and lives at risk, many conflicts will still be at play despite a common enemy.